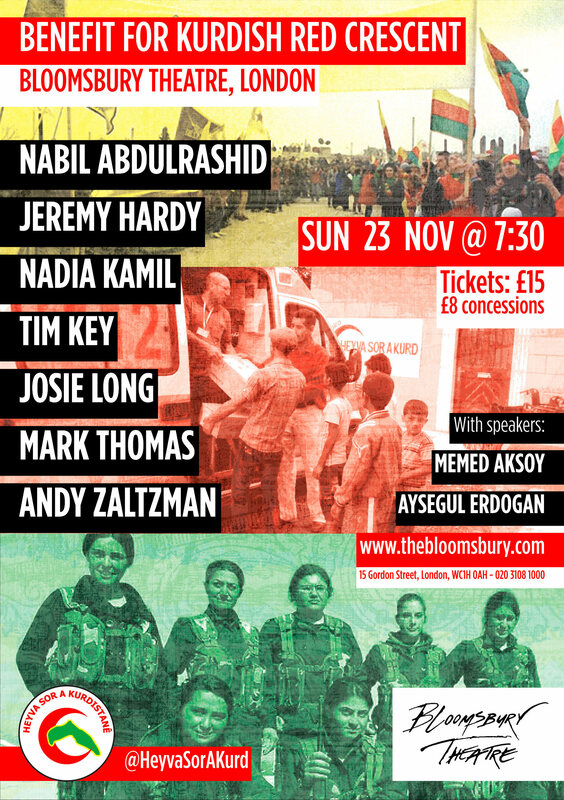 Fabulous benefit gig supporting Kurdish Red Crescent and Kobane. What is the benefit for? The Kurdish Red Crescent who are co-ordinating aid for refugees on the Syria/Turkey boarder, people who have fled from Isis and the attacks upon Kobane. Who is on the bill? Oh crap, I can’t make the gig but would like to help?